For your holidays in Vorarlberg we offer several room categories, so that every guest can find his/her perfect surroundings. 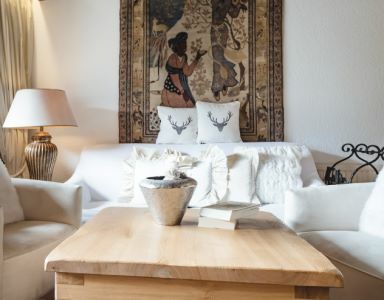 Within our lovely furnished rooms and suites, you will find a lot of natural material such as wood and stone. 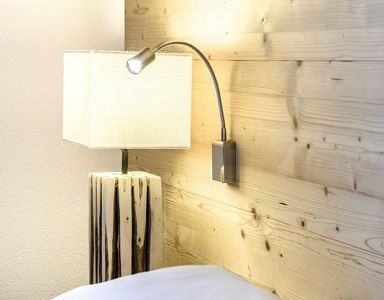 From our single rooms, double rooms to our suites, all categories are furnished very comfortably and they are all suitable for your family holiday at the Montafon. Our Special Offer Double Rooms are 25m2 and equipped with bathroom with toilette, telephone, radio/tv, WIFI and a balcony to the south. 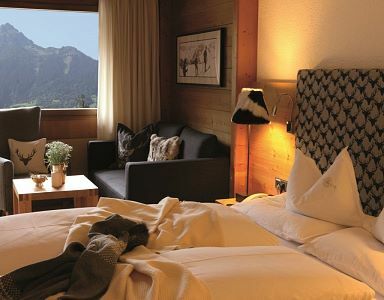 Stay overnight in one of our nature rooms Alpenrose with approx. 30 m2 full of relaxation. Imagine opening your window in the morning and seeing the breath-taking mountain scenery in front of you. Take a deep breath and smell the fresh mountain air - this invites you to start dreaming! Our Double Rooms Edleweiss are 37m2. They are equipped with bathroom with shower and bath tube, toilette separately, telephone, radio/tv, WIFI, mini bar, safe, hair dryer and terrace to the south. Stay at our wedding room Silberdistel with approx. 35 m2 of space - full of relaxation. The lovely care for details and the open fireplace make this suite a special place for loved ones. Stay in our family apartment Alpenrose with approx. 35 m2 of space for your holiday in Vorarlberg. This apartment offers 2 bedrooms and thus space for up to 4 persons. 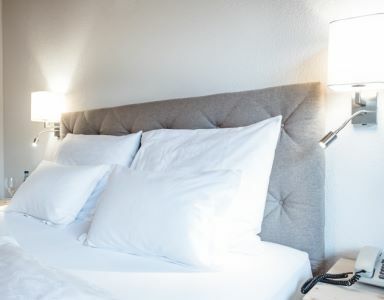 Our single rooms with balcony - also called super deal double rooms - at the Hotel Alpenrose in Vorarlberg offer enough space for 1 person, approx. 25m2 of space. This room category can also be booked as attractive price alternative for 2 persons. 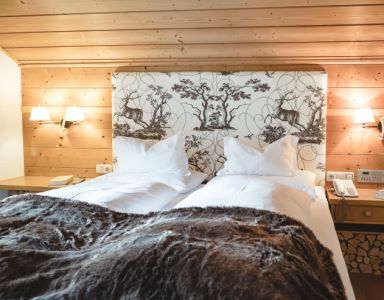 Stay overnight in our hunting suite Alpenrose with approx. 45 m2 of space for your holidays at the Montafon. Your hosts' love for hunting is shown in every detail within this category. 2 separate bedrooms offer space for up to 4 persons. 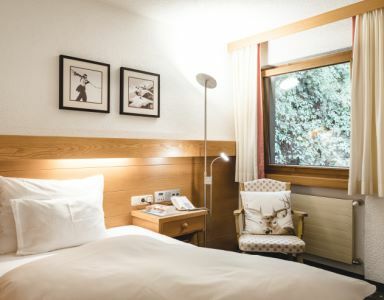 Our single rooms without balcony at the Hotel Alpenrose are perfect for business guests, but also suitable for single holidays or as a room for your child. Stay in our family apartment Edelweiss with approx. 62 m2 of space for your holiday in Vorarlberg. This apartment offers 2 bedrooms and thus space for up to 4 persons. - perfect for your family holidays within the Silvretta mountain range at the Montafon. Stay in our holiday apartment Casa-Plana at the adjacent building with 82 m2 space for your holidays in Vorarlberg. 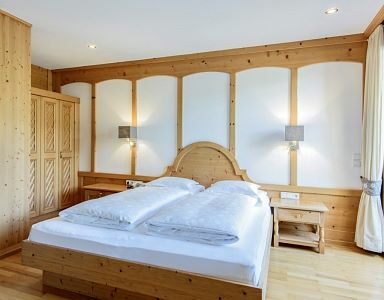 3 separate bedrooms can be found within this apartment category, which offers space for 5 persons - perfect for your family holidays within the Silvretta mountain range at the Montafon. Stay in our holiday apartment Casa-Plana at the adjacent building with 72 m2 space for your holidays in Vorarlberg. 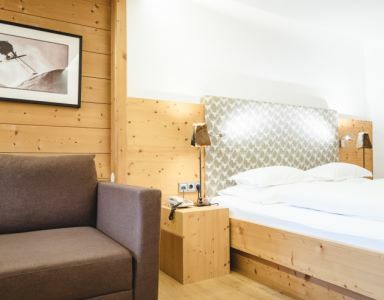 2 separate bedrooms can be found within this apartment category, which offers space for 4 persons - perfect for your family holidays within the Silvretta mountain range at the Montafon.